5.Support Ship from UK Warehouse,NO TAX,receive faster. 2.Start VVDI MB Tool Software. 3.Clikc ESL Tool,choose chasis,and OBD way,then press Read ESL Data. 4.After read esl data,tick off Personalized and Activated option. 5.Click “EIS Tools” on the left,choose OBD way,and Chasis type to read EIS Data. 6.Click Get to erase EIS key password. 7.Paste key password,then save EIS data. 8.Press OK to save HC05 format file. 9.”EIS Tools” page,choose IR mode,and click “Renew EIS”,then insert IR key to EIS. 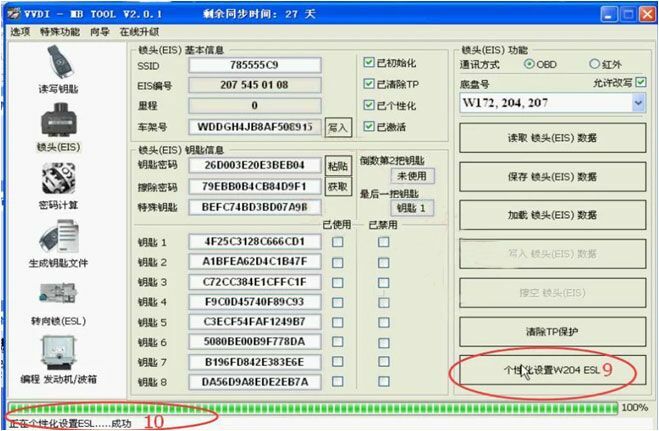 11.Select OBD mode,click “Read EIS data”.Reading data success, EIS is normal. 12.Click Load EIS data,and please open EIS data saved previously. 13.Click Write VIN.Please confirm VIN and click Yes to continue. 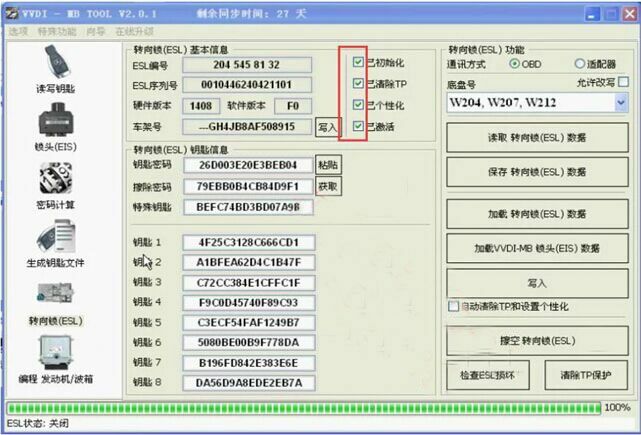 15.Please wait until Writing data success.Select OBD mode,and click Personalize W204 ESL.